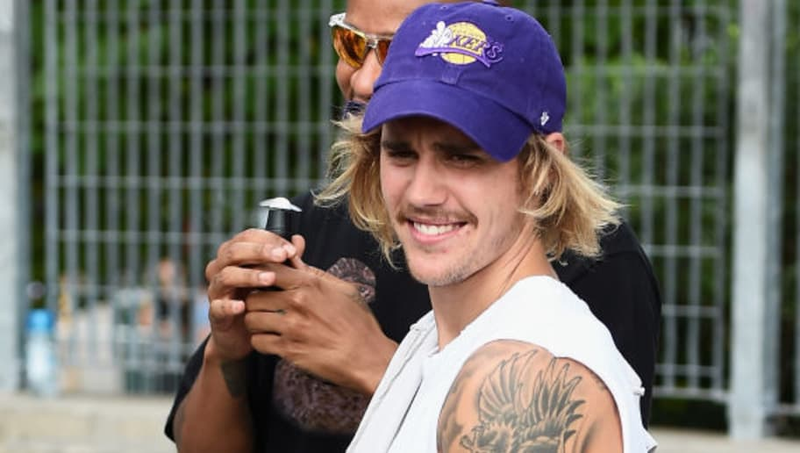 Though Justin Bieber hasn’t spoken outright about his new clothing line, he and Hailey Baldwin have been showing it off on Instagram for months. While the new brand, Drew House, initially released just an affordable pair of hotel slippers back in December, the full collection is now available to shop on its website. Drew, named so as a nod to Justin’s middle name, is recognizable thanks to a yellow smiley face that has a curled “Drew” for the smile. The new collection consists of T-shirts, sweatshirts, a turtleneck, along with a few beige corduroy pieces. The collection, which consists of all unisex pieces, ranges from $48 to $148 per item. Each piece is tagged with the line, "unisex...wear it how you want." While fans are excited about the new items, some are still curious when the Drew-themed chains that made an appearance in Justin’s December Instagram post will be hitting the online store. Surprisingly, Justin hasn't posted on social media about the launch just yet, but Hailey took to Instagram to congratulate her husband. In an Instagram Story on Wednesday morning, Hailey wrote, "Proud wifey over here!!" 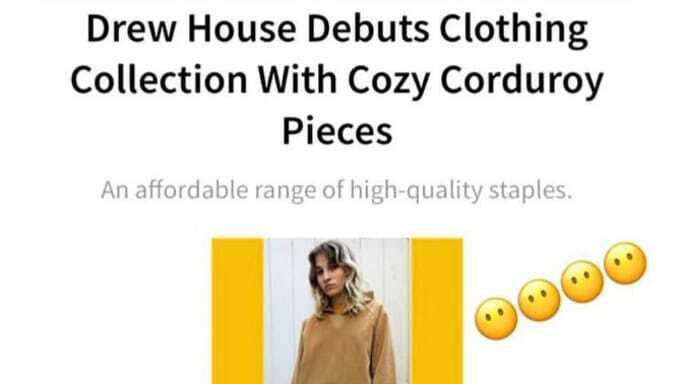 The website's "About Us" page describes Drew House as a “place where you can be yourself. Blah blah blah blahsdbksjdfhl. Wear like you don’t care. Come chill. K. Bye.” The entire brand screams Justin Bieber, so we're glad that the 25-year-old singer has a passion project again. However, we still can't help but wonder when we'll be getting his fifth studio album.